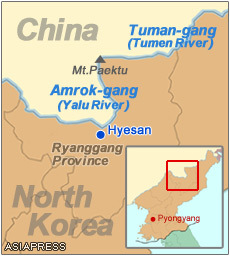 The ASIAPRESS North Korea Reporting Team travelled to the Sino - North Korea border zone, along the Amrok-gang (Yalu River), in the middle of May. Photos taken during the trip show things are still tense in the area, with border controls tightened, following the purge of Jang Song-taek. The Team also carried out reporting in this area in April. 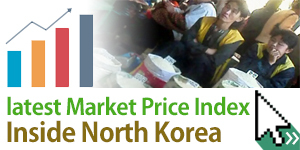 The Reporting Team has confirmed significant changes since our April report, including the installation of border guard watch-houses and a wire fence under way in the area, along the North Korean side of the Amrok-gang. In the center of the border city, Hyesan in particular, sections of the fence have already been completed. North Korean authorities have tightened border controls and undertaken a number of crackdowns in the area, since last December's execution of Jang Song-taek, former Vice Chairman of the National Defense Commission and the No.2 person within the state political structure. 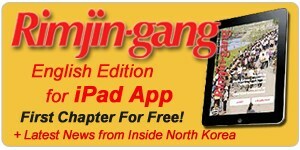 These changes were implemented in an effort to restrict the flow of information in and out of North Korea, and to prevent the defection of Jang's affiliates.